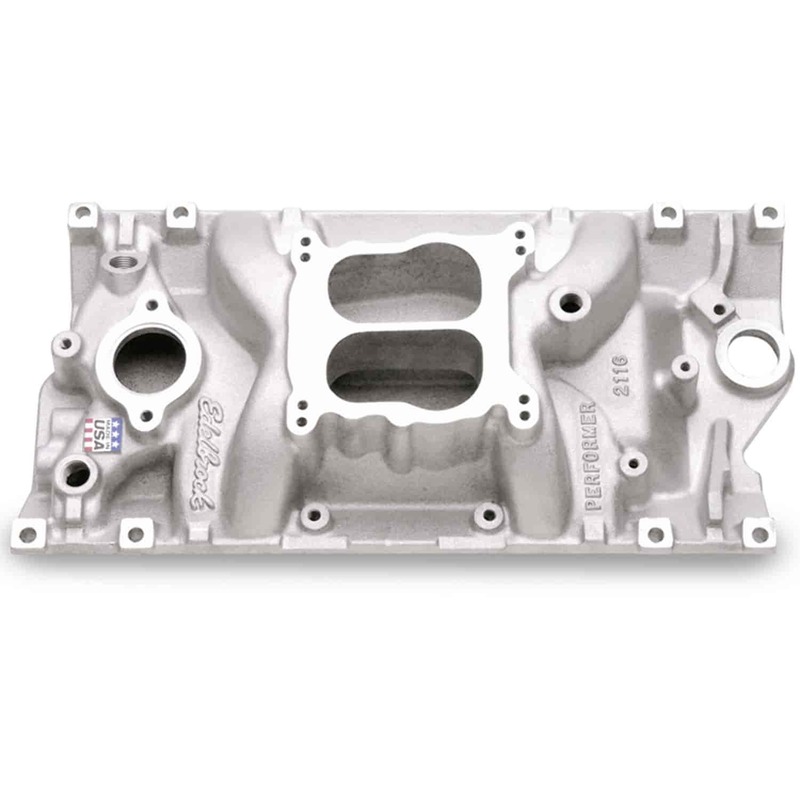 Manifold Height: (A) 3.87", (B) 5.28"
2116 is rated 5.0 out of 5 by 4. Rated 5 out of 5 by The mad fabricator from Great service, parts I bought this for a carb swap on a '99 vortec, so much better than the last one ,I modified to fit, this fit great, looks great, and runs even better! Rated 5 out of 5 by DB ENGINEERING from TOP OF THE LINE QUALITY When you're looking for the best in intakes, Edelbrock is it. I needed this for a GM crate motor with Vortec heads. This intake dropped in place perfectly.